Highlight your man cave and make it the preferred hangout spot with the Imperial Garlando Master Pro Outdoor Foosball Table. When it comes to any sport or game, you’re going to need two things: the right equipment so that you can play, and sufficient training to make use of it. This is true for nearly any activity that involves specialized gear, and foosball is certainly one of them, with the table being the one, crucial piece of equipment. The best thing about foosball is that both of the players are using the same table, so there is no difference in the gear that is being used. The only factor that determines the victor in foosball is skill, which makes it one of the purest forms of competition. With that being said, you still need a quality foosball table. In this article, we’re going to thoroughly review one of the best outdoor foosball tables: the Garlando Master Pro. We’ll take a look at everything you need to know about this particular table, as it can be nearly impossible to determine the quality of a table unless you try it out yourself. Aside from our review, we're also going to cover two features that you should consider when looking for the best outdoor foosball table on the market. If you aren't an experienced buyer, then the following tips will give you some direction when searching for a high-quality foosball table. The first thing you’re going to want to consider is the size of your outdoor foosball table, as that will directly affect your experience while playing. A regulation foosball table, as outlined in the rules has dimensions that are 30 inches wide and 56 inches long, with a height of 36 inches. A larger surface area will allow you to do more with the ball, including making longer curving shots and passing the ball between rows of players. On the other hand, a smaller foosball table will save you money on shipping costs and may end up being easier to store or move around the house. If you’re going to be practicing for tournament foosball, you’re going to want to invest in a full-sized table so that you can get used to the play area. If you’re going to be using an outdoor foosball table in its intended environment, you’re going to want it to be resilient enough to put up with a bit of abuse from the elements. 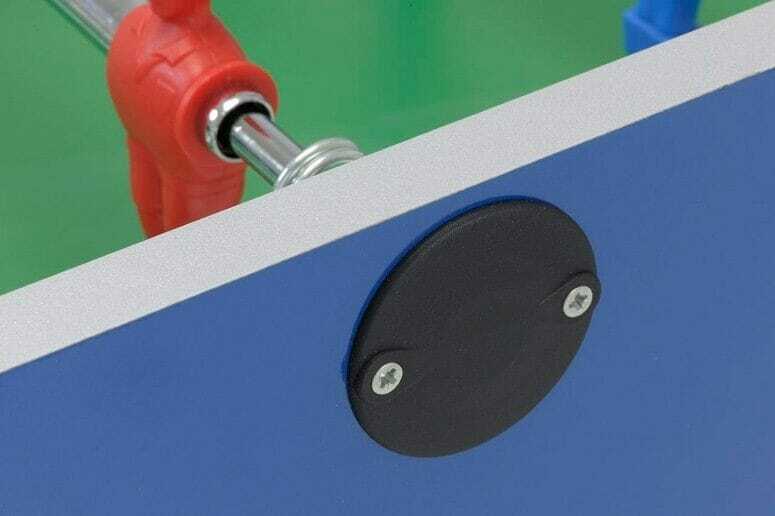 For example, most outdoor foosball tables will feature reinforced fittings which are designed to last longer than indoor models. Beyond durability in the traditional sense, you'll also want your outdoor foosball table to resist things like dust and water infiltration as well. Water can warp the playing field and rust the handles of foosball tables that aren't designed to withstand it, which is why the vast majority of outdoor tables are waterproof. This foosball table is made by Garlando, a company which is known for their high-quality game tables, and this one doesn’t disappoint. 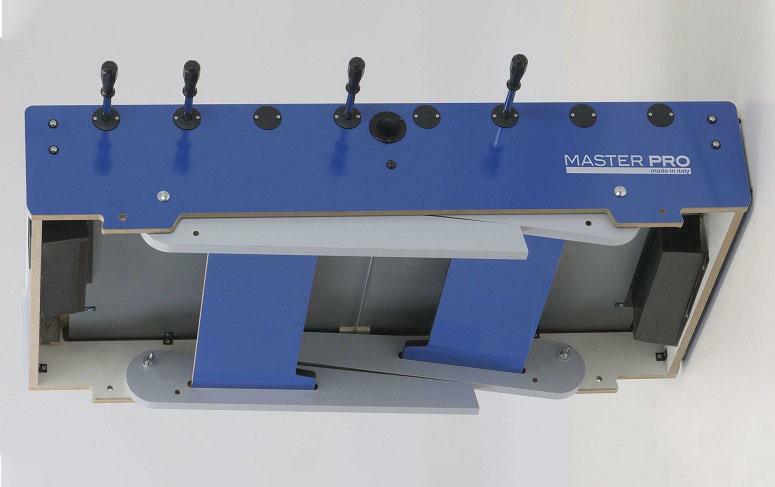 The Master Pro is an outdoor foosball table which is designed for long-term reliability, but it also comes equipped with convenient features like telescoping rods and individual score keepers. The most impressive part of this foosball table is its heavy-duty construction, which makes it an ideal choice for outdoor use. The legs are sturdy, and the table remains stable when they are locked in the upright position. The ability to collapse the legs makes it easier to store the table in smaller areas. 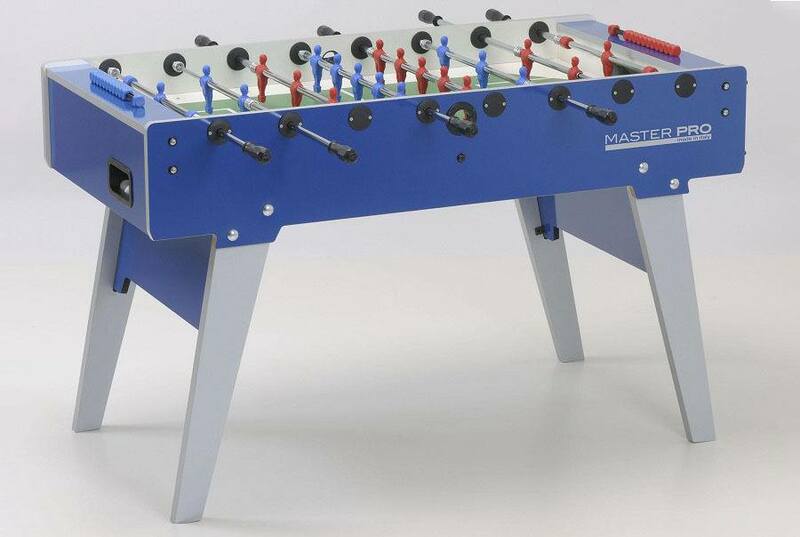 Since this foosball table is equipped with folding legs, it is also easier to reposition, allowing you to bring it indoors without too much trouble. There are also two abacus score counters on this outdoor foosball table, providing you with a simple and reliable way to remember how many goals each player has scored. When you're done playing on this table, you can also push in the collapsible rods so that they don't poke out of the sides, ensuring that no one bumps into them. You also won't have to worry about buying balls separately, as this table will come included with ten standard white ones. In addition to the table’s durable design, you’ll also get a two-year warranty, ensuring that you get your money’s worth out of it. The playing surface is laminated so that the ball will roll smoothly over it, and it features white-marked lines. In this section, we’ll cover what other buyers have to say about this foosball table so that you can get a better idea of how it will perform. The positive reviews of this outdoor foosball table were focused on how easy it was to assemble, with even inexperienced customers getting it together in under an hour. Aside from ease of assembly, buyers mentioned that this table plays remarkably smoothly for a heavy-duty model. There weren’t many negative reviews of this foosball table, but there were a few sporadic complaints in the testimonials we went over. The downside which was mentioned the most frequently was the lack of a cover for the table, as most other outdoor models come included with one free of charge. Now that we’ve covered everything else about this foosball table, you’re probably wondering about the price. 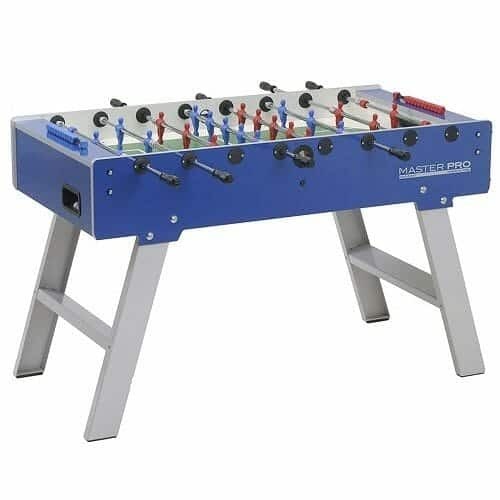 You can typically find this model available for around 1000 dollars, which is a reasonable price for a reinforced outdoor foosball table of this quality, even though it’s a bit pricier than comparable indoor tables. If you’re looking for one of the most durable outdoor foosball tables on the market, you won’t be disappointed with the Garlando Master Pro. Hopefully, this review has been able to give you enough of an idea of how this foosball table performs. Let us know what you think in the comments section below.